New Year's Resolutions for the Red Sox. Happy New Year to all of Red Sox Nation! Welcome to 2015 and welcome to a clean slate! This time of year, gyms are packed with folks who made resolutions, aiming to get into shape and start a healthy lifestyle. Most resolutions, though, go unfulfilled. We’re here to offer a few resolutions for the Red Sox in hopes of another World Series title. 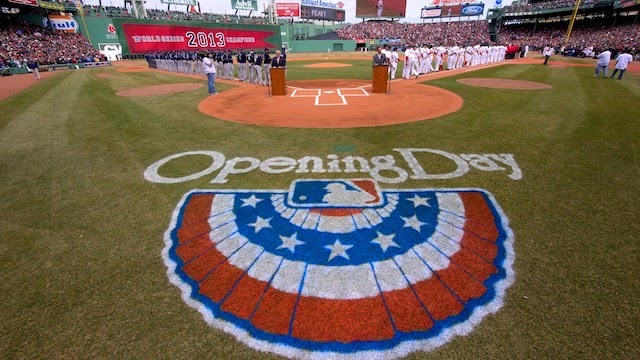 Should Boston win the Fall Classic in 2015, it would have won two in the last three years and four out of the last 12. Lest we forget it was Boston which won five of the first 15 championships from 1903-1918. Starting off the new millennium in a similar fashion would be a way for all in Sox Nation to relive a part of MLB history. 1) Find an ace pitcher. Whether through free agency or trade (now or early in the season), it is imperative for Ben Cherington and Co. to solidify the rotation with a No. 1 pitcher. It appears that James Shields and his $100 million price tag isn’t going to fit. Just a guess here, but if Boston originally wasn’t willing to pay Lester more than $70 million, it sure wouldn’t spend over $100 million for Shields. There are plenty of names out there, but it will be interesting to see if any moves are made in Spring Training or after Opening Day. Right now, the rotation is filled with middle-tier throwers; possibly one guy could step up and become an ace. But no one stands out at this moment, and surely the position players are hoping another shoe falls somewhere. 2) Take advantage of homegrown talent. Either projections haven’t quite panned out as thought or young stars have been rushed to The Show. Jackie Bradley Jr. hasn’t exactly turned into the bright spot many had hoped and a few others can’t quite find their comfort zone at the big league level. There’s no question that from Single-A to Pawtucket, the Red Sox farm system is loaded with special players. But managing that talent (either trading them at their peak or bringing them along at an appropriate rate) hasn’t been Cherington’s forte. Truth is, the book is still out on Cherington, and he has done great things for the future of the organization. On paper, things look great. Let’s see how he handles the game. 3) Be in the chase come September. Two of the last three seasons have seen Red Sox Nation twiddling its collective thumbs, trying to play spoiler once the summer months ended. Boston breathes October baseball and one season absent from it is too many for this fan’s liking. A second straight season and three of the last four would show the direction of the organization isn’t on the rise, rather fading behind the likes of Baltimore and Toronto. At least having a winning record and being a contender when August ends and the final month of the season begins gives hope that Boston is putting those sub-par seasons behind it. Yes, the Sox won a World Series in 2013 – but is that an anomaly or proof that this team is better than the rest? 4) Win the AL East. This probably goes without saying and is more of a goal than a resolution, but what are resolutions without check points along the way? You can’t just say I want to lose weight. Does that mean one lb. or 20? Same applies here. Resolution: Win more than last year. Meaning: Win 72 games? Win 82 games? Win 92? What is it? We won’t put a win total on it, but winning the East would likely mean in the 90s somewhere. That’s what we’re hoping for, at least. What resolutions would you make for the Red Sox this season? Share your thoughts below or on Twitter @RedSoxLife or @thebenwhitehead.